London Otter and Newton Abbot claimed the girls’ U17 and U19 titles on the final day of the Swim England Water National Age Group Championships 2018 in Manchester. 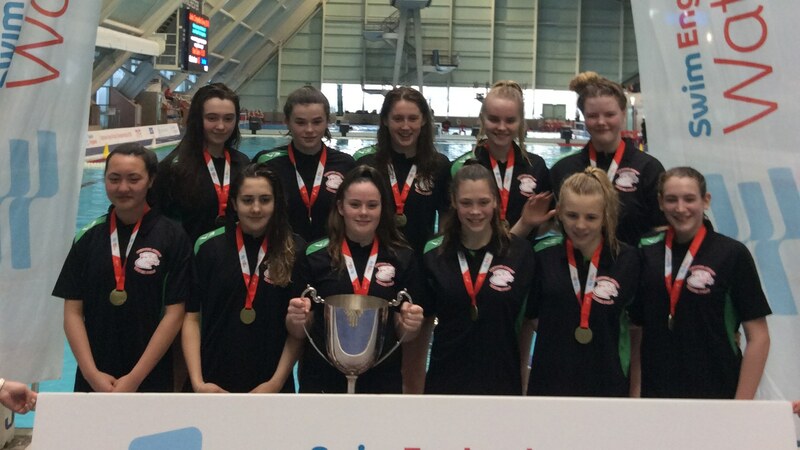 Otter’s U19 side were crowned champions at Manchester Aquatics Centre after defeating home side and defending championships City of Manchester in the final. But the London side’s U17 team had to settle for the silver in the U17 age group as Newton Abbot took the title. Otter’s U19s booked their clash against City of Manchester after beating City of Liverpool 11-7 in the semi-final on Saturday. And they proved to be too strong for the home team, running out 9-4 winners to take the gold medal. The result saw Otter lift the Dougie Scales Memorial Trophy for only the second time, having won their maiden title in 2016. It also saw them exact revenge for a narrow 5-3 defeat in last year’s final. City of Liverpool won the bronze medal in the third and fourth play-off match as they eased past Rotherham 17-12. In the U17s competition, Otter’s hopes of a double triumph were dashed as Newton Abbot won the gold medal 9-6. Tyldesley secured the bronze medal as they sealed a 9-4 victory over Cheltenham. Devon side Newton Abbot came into the competition on the back of victory in last year’s U15 Championships. And they continued their momentum in Manchester, backing up yesterday’s semi-final defeat of Cheltenham with a victory over the Otter – champions from three of the last four seasons. In winning the title, Newton Abbot became just the fourth team to lift the Edith and Tom Lythe Memorial Trophy. Welsh Wanderers were the girls U19 Plate winners after winning all three of their matches. They opened up their campaign with a 6-1 victory over Otter Futura and followed that up with a 7-1 triumph against Cheltenham. In their final match, Welsh Wanderers beat their closest rivals – second-placed Newton Abbot – 2-0 to ensure they took the Plate title. Newton Abbot pipped Cheltenham to second spot after both sides won one, drew one and lost one of their three matches.